If you’re a restaurant or bar that is on foursquare, you know how popular your venue can get thanks to people jockeying to become the mayor or to add and read tips about what you have to offer. Until now, claiming your venue was pretty easy, but required you to wait for involvement from foursquare’s side. Basically, this was put in place so that normal folks couldn’t just take over your venue. It also slowed you down from reaching its 20M users. Today, foursquare announced a new self-serve option that requires no waiting period to claim your venues. All you have to do to get started on foursquare’s platform and offer deals is pay a one-time $10 verification fee. Once your fee is paid, you don’t have to wait for foursquare to approve your claim. 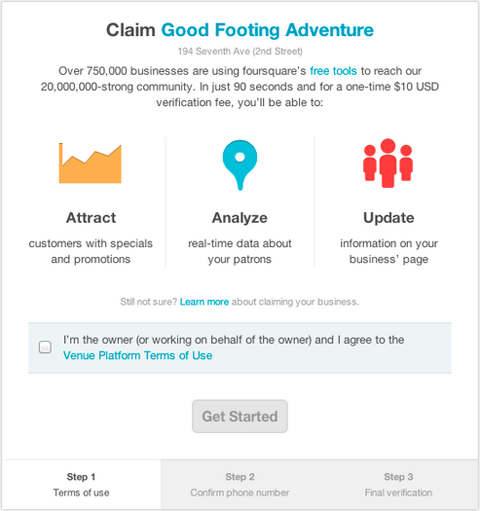 Starting today, you’ll have an option to instantly verify your business on foursquare (we charge a one-time, $10 fee). You can still verify by mail at no cost (although it takes three to four weeks). Once you’re verified, you can start using foursquare’s free tools right away, like offering Specials, updating your listing, and getting stats about your visitors. 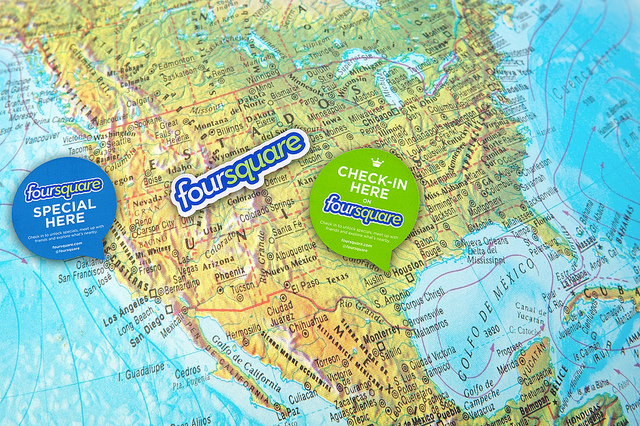 If you’ve already verified your venue, there’s no charge; keep enjoying foursquare’s free tools! The $10 fee is more than enough to stop people from claiming venues that aren’t theirs, although I’m sure that a few exceptions will pop up. Foursquare won’t likely make any money from these fees, but the fact that restaurants and bars can start offering specials immediately, mean that more venues will start adopting the platform. The feature is rolling out for all venues in the United States today, and will be made available internationally in the near-future. You’ll still be able to use the original claim process for free if you prefer.